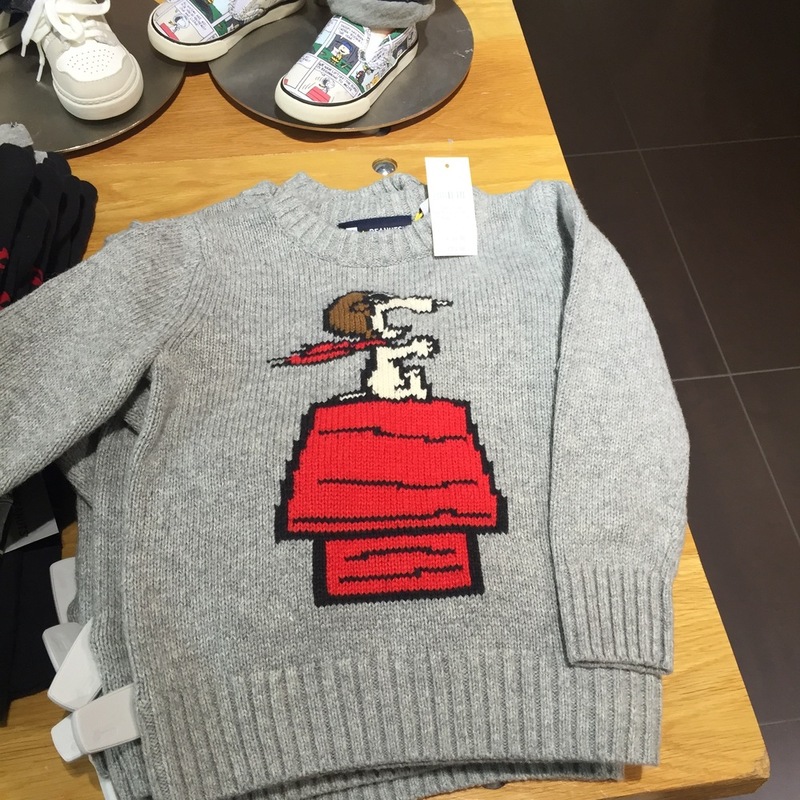 Who doesn't love a bit of Charlie Brown and Snoopy?? Whilst most kids may not know who these vintage Peanuts 50's comic strip then 80's TV characters are, it definitely rings a bell with my childhood and feels very nostalgic. We were lucky enough to go along to the launch of the Gap Kids x Peanuts range yesterday at their flagship Bond Street store. We had a fun afternoon drinking milkshakes and smoothies, eating character cake pops, colouring in, shopping and even meeting Snoopy himself! The range is for baby, toddler, boys and girls and particular favourites were the graphic hi-tops, stripy snoopy jumper and yellow chevron jumper (which we did purchase along with some snoopy leggings for the baby bump). Baseball tees with vintage illustrations, beanies and bodysuits were also very tempting. You can of course buy everything online here. Thank you Gap Kids and Mothersmeetings for having us. 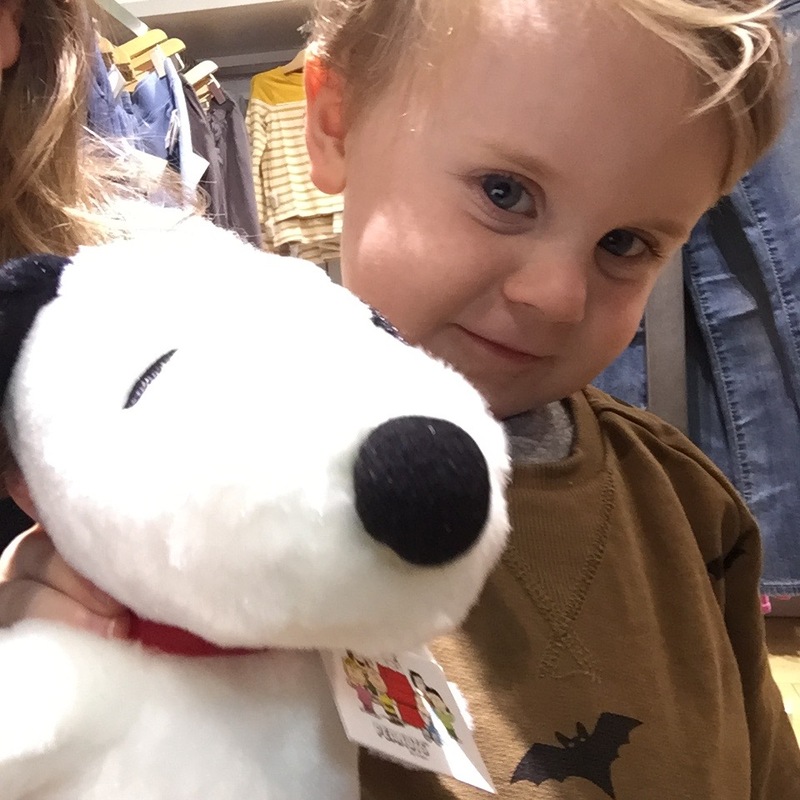 Finn loves his Snoopy toy and I can't recommend this range enough to other mamas!